1 Bedroom Flat For Sale in Stanmore for Asking Price £500,000. The Aster, a stunning 1-Bedroom second floor residence forming part of Landsby, an exclusive development offering luxury later living. The residence has a generous proportioned open-plan living area with a separate Kitchen and a private Balcony with views towards Stanmore Country Park. The Landsby is a unique development offering luxury later living (65 years and over) residences set within a stunning new landmark building close to all the amenities of Stanmore. There are a selection of 1 bedroom, 2 bedroom and Penthouse apartments available to purchase. Elysian was founded to take later living to a level never before seen in the UK. It started with a very precise vision of our potential homeowner and the kind of London home we knew they were searching for but which, before the Landsby, simply did not exist in Stanmore. An Elysian Residence is a high-quality lateral apartments with a private balcony or terrace. The generously apportioned apartments have been designed by a leading UK architect and overseen by the leading international architect with international experience in designing over 600 housing projects suitable for people’s changing needs as they age. It is however also the opportunity to benefit from the use of extensive social areas and access to a lifestyle that couldn’t be supported in a traditional home. This is your chance to live in your own home, with all the luxury of a great hotel on your doorstep. From the moment you move in, you will experience the empowering lifestyle and community. And importantly, you and your family will know that that the safety net is there if it is ever needed. Each of the Landsby’s apartments are light, spacious and exceptionally beautiful. Complete within themselves but designed to be a home for your own touches of individuality, treasured objects, paintings and books. 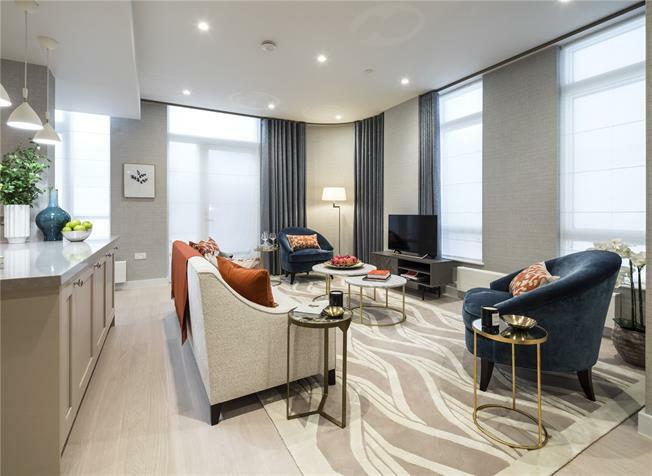 These are apartments designed for living; private spaces which, along with the building’s exceptional and impressive public spaces, combine to enhance and enrich your lifestyle. Most important of all, any and all of the apartments can be easily and elegantly adapted to any changes in your requirements or needs. The Landsby is a living, breathing work of design and construction that puts you very firmly at its centre. The Landsby is designed to leave our residents wanting for absolutely nothing in terms of amenities, facilities and creature comforts. From a quiet espresso with the paper or dining with friends, the Landsby provides everything you need for sophisticated living: A spacious library, a rooftop gym, a large outdoor terrace with gardening possibilities, a luxury beauty salon, private dining option located within our full-service restaurant, a multi-purpose activity room, a guest suite, and quiet spaces for you to conduct business, or catch up privately with friends and family. All these and more are at your disposal, along with a fully-equipped private medical consultation room with regular visiting specialists. - Service Charge – Choice of two model options commencing from £3,500 (1-Bedroom apartment). - Event Premium on re-sale. - Reception & Concierge Administration Costs. - Housekeeping, Cleaning & Refuse. - Plant & Machinery Maintenance. - Communal Services & Facilities Administration Costs. - Basement and Private Driver Insurance, Maintenance and Administration costs. The Landsby will provide private, secure underground car parking for residents, (subject to availability and a permit charge). For further information, please contact Preston Bennett New Homes on 0208 954 8626. The pictures you see may not be indicative of this property. They could be CGI's or pictures of the Development Show Apartment or Show Home.